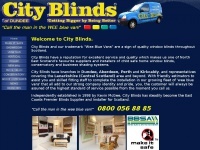 The web server used by City-blinds.net is located in Germany and run by 1&1 Internet AG. 27 other websites are located on this web server. Most of them are provided in the english language.